As BTS headed for the Grammys on Friday -- set to be the first K-pop band ever to attend the awards show -- at least five V Live videos captured their arrival at the airport. Videos of BTS arriving at Incheon International Airport for the flight to Los Angeles were released by at least four media outlets on V Live. Some show RM and V talking. “For this day, I stayed up all night yesterday,” V says when asked how he feels about going to the Grammys. The septet will present an award at the Grammys. Its album “Love Yourself: Tear” also has been nominated in the best recording package category. Below are links to videos of BTS arriving at the airport. 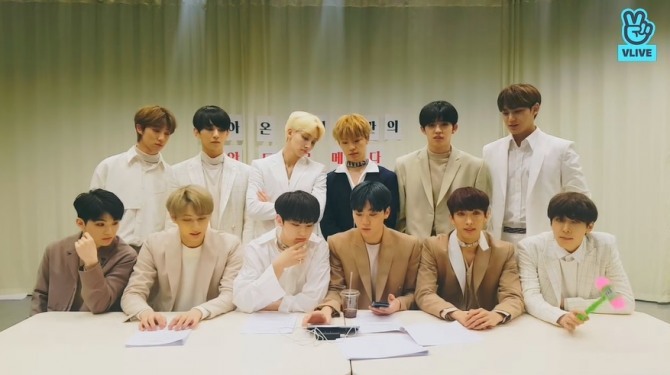 Hoshi and Seungkwan of Seventeen aired their show “Andromeda” on V Live on Feb. 9. “Andromeda has returned. It’s been nine months since the last show,” Hoshi said, kicking off the livestream. “A lot has happened in the meantime,” he added. “Some fans said they waited for this more than they did for our comeback album,” Seungkwan added. With the two hosts sitting in the center, their bandmates gathered around for the 45-minute livestream -- chatting, playing games and reacting to fans’ comments. Watch the broadcast at https://www.vlive.tv/video/112505. 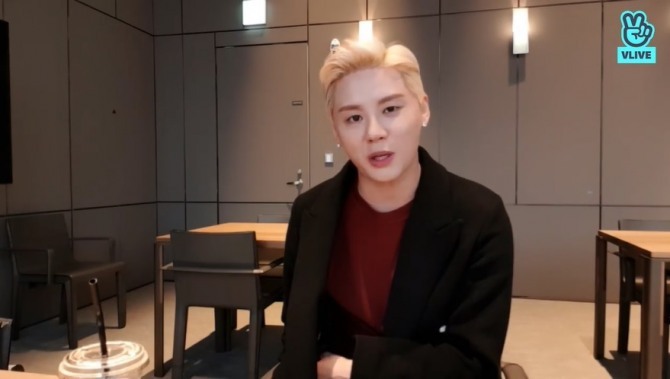 Kim Jun-su, one of the stars of the local production of the Austrian musical “Elisabeth,” aired a V Live broadcast on Friday after a performance. “Today I had only one performance in the afternoon and am free from now on. This feels so good, like school finishing early,” the actor said, adding that he often has to perform twice -- once at 3 p.m. and once in the evening. Tomorrow is also the last day of this musical production’s run,” he said. He turned on the V app a day early, knowing it would be difficult to find time to livestream on closing day. Kim stars as Death in the production. He previously played the role in 2012 and 2013 and won the best actor award at the Korean Musical Awards in 2012. Watch his broadcast at ttps://www.vlive.tv/video/112486.